Leave a comment on THIS post through Tuesday, June 5, 2018, to be entered in the DRAWING for a copy of the book below. If you mention in your comment that you’re a follower (see right sidebar to follow), I'll add your name a second time in the drawing. U.S. mailing address required to receive a paper book. I may or may not have read books offered for giveaways. The mention and giveaway of books on my blog do not in any way indicate any manner of my endorsement of said books. Read book giveaway details at Disclaimers. To help provide you security, please leave your email address like this: johnATyahooDOTcom. Winner announced in next Thursday's blog post. Sara Foust writes Inspirational Romantic Suspense from a mini-farm in East Tennessee, where she lives with her husband and their five homeschooled children. She earned her Bachelor’s degree from the University of Tennessee and is a member of American Christian Fiction Writers. Callum's Compass won second place in Deep River Books' 2017 Writer's Contest. Sara also has a story, “Leap of Faith,” in Chicken Soup for the Soul: Step Outside Your Comfort Zone. Gain access to a FREE digital scrapbook detailing some real-life places from Callum’s Compass by signing up for her newsletter. Her second novel, Camp Hope, releases Summer 2018! Welcome, Sara. What takeaway value do you hope your readers receive after reading your book? I hope readers will realize that no matter what they have done in their past, God loves them and wants a relationship with them. We can never be so wrong that God will stop loving us. At first, they are a little slow to answer. Then usually they think it’s really cool and say something like, “I’ve never met an author before.” It has a tendency to give a gal a bit of a big head! If I am at my computer, I use it. If I only have paper I will jot ideas down by hand. Sometimes I use the notepad feature on my cell phone too. I find that if I have an idea or think of the right wording for something, I’d better write it down somehow right then and there or I will forget it. Biscuits or Dinner Roll? Depends. Cracker Barrel, definitely biscuit with butter and honey. Austin’s definitely yeast roll with honey butter. Laptop or Desktop? Both. Laptop when I’m on the go. Desktop when I’m at home. Please tell us a little about your novel, Callum’s Compass. 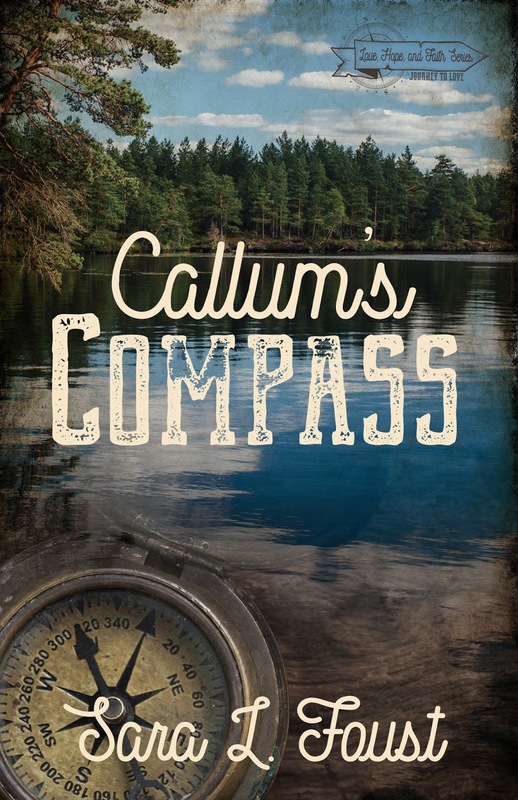 Where can readers purchase Callum’s Compass? Thank you so much for having me as a guest again, Jo. I love interacting with readers. The second installment of the Love, Hope, and Faith Series, Camp Hope, will be releasing this summer! I would love your prayers as I continue to try to share the words God has laid on my heart. Sara, thanks for visiting with my readers and me. 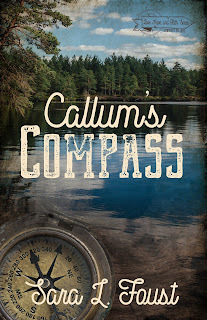 Sara is offering winner’s choice of a paperback or eBook copy of Callum’s Compass to one commenter to this blog post. Commenters, to enter the book drawing please leave your comment on this post through June 5, 2018, and remember to leave your email address so I can contact you if you’re the winner. The winner of last Thursday’s blog post for a copy of Mrs. Wigglesworth's Essential Guide to Proper Etiquette and Manners of Refined Society by Jodie Wolfe is Kathy. I’ll email you. Thanks all for commenting. Watch for more book giveaways. 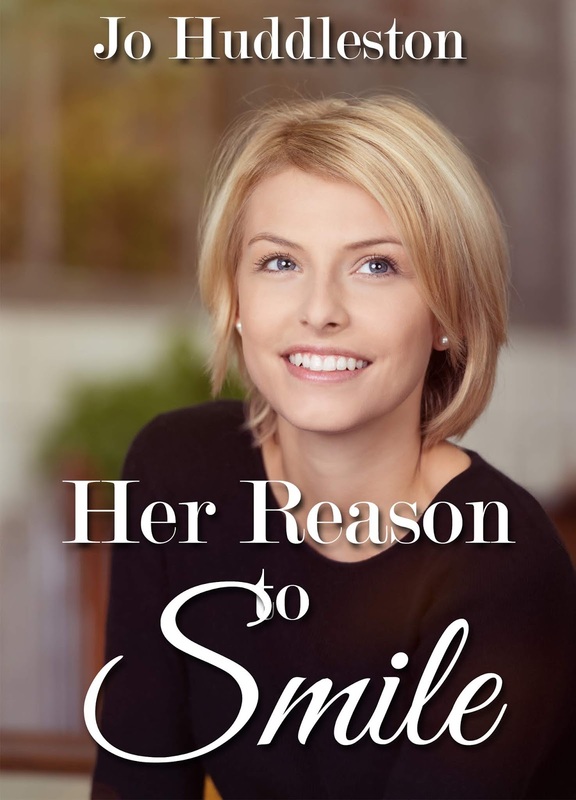 My latest book is out – Her Reason to Smile, a novella. Here is the cover, and you can read more about the book and the first chapter here. Thank you so much, Sonja. Good luck! I love that too! Great idea for your kiddos! The thing I like best is the interaction with the authors. Everyone seems to be warm and friendly and responsive to questions. This sounds like a really good book. Thank you, Perrianne! I think most authors enjoy interacting too, I know I do! Susanne, thanks for coming by to leave your comment. Mikaela, glad you stopped by to leave your comment. Thank you, Susanne. Good luck in the drawing! Thank you, Mikaela. Good luck!! I’m so glad the day I found Christian Fiction. I do love that they are clean and good for my soul. Pamela, thanks for coming by and commenting. Kim, thanks for stopping by to leave your comment. Paula, you're welcome. Thanks for following my blog and commenting! Vivian, thanks for coming by and leaving your comment.